GitHub - justforlxz/deepin-topbar: Provide the function of the top bar, beautiful, easy to use. Want to be notified of new releases in justforlxz/deepin-topbar? This is a project that I have a whim to help improve my ability to write code. How to get my message and software updates? I'll release messages on my twitter. If you use Deepin, just install from appstore. If you use Arch, you can install deepin-topbar in Community repo. Make sure you have installed all dependencies. The executable binary file could be found at /usr/bin/deepin-topbar after the installation is finished. You can create a issue, I will help you. 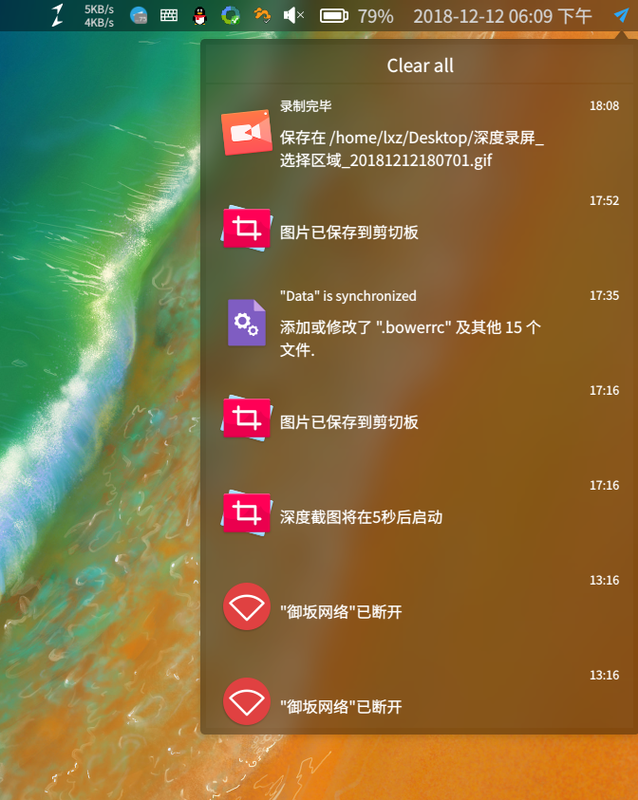 deepin community Topbar is also the community software that you can post for help. Deepin-topbar is licensed under GPLv3. Want to know how to help me? fork and pull request. I want more people to help me improve it.